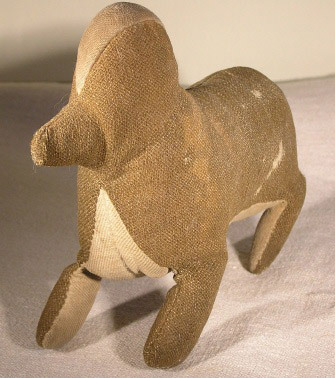 This sweet and very primitive little wool animal was purchased several years ago at Shupp's Grove in Lancaster County, PA. 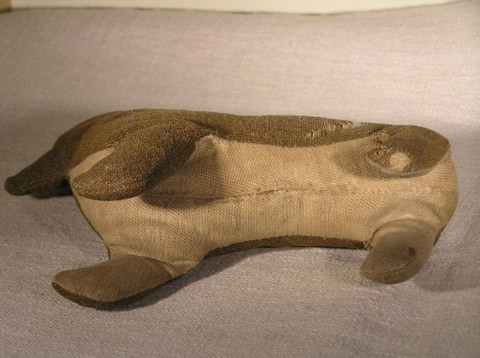 Entirely hand sewn and stuffed with cotton, his body is made out of an olive green wool with cream-colored cotton twill accents. 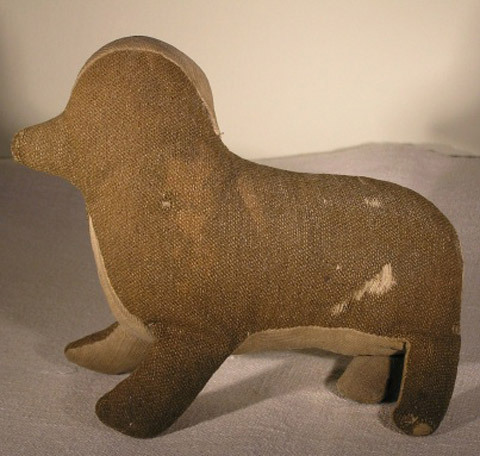 He measures 8 inches long by 6 ¼ inches high, and has been much loved and shows signs of it here and there. 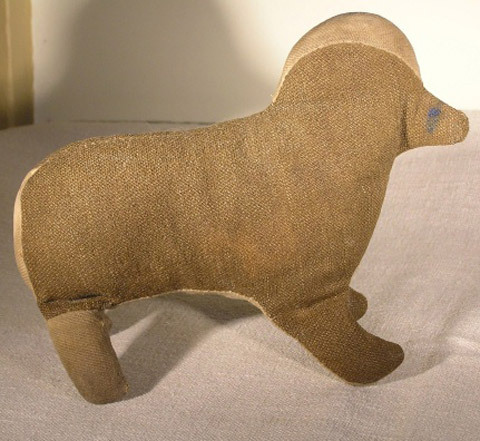 However, that having been said, he is in relatively good shape for his age which I place to the late 19th /very early 20th C.
He's been in my collection of “unusual shaped” Amish animals and is now being offered here for sale.